If we realise that the escalating economic, cultural and social globalisation has brought us too few blessings, the question is what we need to do, and especially what we can do nów. First of all we have to think about the abundance of trade treaties between individual countries – there are thousands of them – and between groups of countries in certain regions – think of NAFTA, CETA, the formerly intended TPP, TTIP, and indeed the European Union –, and about what is governing them at a global level, such as the World Trade Organisation (WTO). In principle, all those treaties have to be revised radically. However, before we come to this, we need to acknowledge that generally it is beneficial that such treaties are aimed at reducing (further) import and export taxes. But that should not be overdone: countries have the right to protect certain sectors of their economy, perhaps only for a certain period of time. It is also useful if such treaties contribute to the joint determination of industrial standards, even though small differences are not insurmountable. But after that, the problems come. Let’s start with the bilateral and regional trade treaties. What is necessary now and in the future is that such trade agreements are being formulated in such a way that they put an end to matters such as tax dumping, environmental degradation, the enormous size and complexity of corporations, and social exploitation. So far, all those trade treaties are silent about the protection of what is of vital importance for citizens and their society – now and in the future. Therefore, those treaties must be renegotiated, reformulated and concluded again. Indeed, that is a hell of a job, which can only succeed if two conditions are met. Firstly, lawyers, economists and social scientists at universities – and scientists at technical and agricultural universities as well – need to set up major research programs to consider how the transition will unfold from the current trade treaties, which undermine democracy and hurt citizens, to trade treaties that serve the interests of these citizens, bringing democracy and market to a good balance. Secondly, one can imagine that such radical changes can only take shape if substantial sections of the population are committed to this, persistently and well-considered. Perhaps what is being proposed here is not a far-off-their-bed show for the simplifying right. 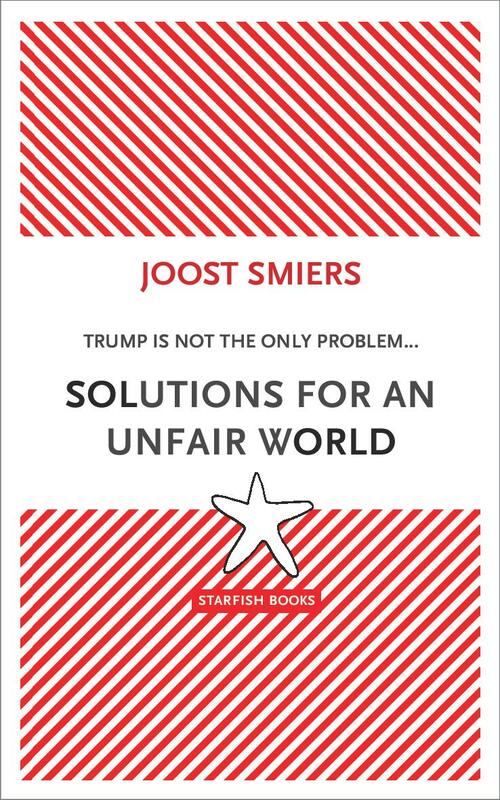 And why could reforming the trade relations between countries – which would bring back national priorities to citizens – not be the basis for alliances between what is called the populist right – what I have previously referred to as the simplifying right – and a from its neoliberal bent returning left? I’ll get back to that. The World Trade Organisation is a case in itself, and we should get rid of it. At the end of World War II, in Bretton Woods (US) the groundwork was laid for a global trading system that combined two important issues. Trade between countries can bring prosperity to everyone, so let’s take care that the obstacles to it – such as high tariffs – will gradually decrease, people thought. But at the same time individual countries should also have enough room to arrange their own economic and financial lives in such a way as to meet their own needs. Without entering into details here, it can be safely said that this system was more or less functioning well within gatt, the General Agreement on Tariffs and Trade – the global trade treaty that arose from Bretton Woods and that was applied from World War II onwards. Until the neoliberal ideology and the interests of the ever-growing transnational companies penetrated into all pores of international trade and gatt was transformed into an instrument in which one size fits all was prevalent. In 1995 this became the WTO. The purpose of this World Trade Organisation is to ensure uniform rules between countries for all conceivable products, trade movements and services, and to enforce compliance by special secret courts within the WTO, with the possible punishment that a winning country can set trade sanctions against the loser. The wto was established in the early nineties of the last century. Ever since the start, it became increasingly difficult to reach agreement between almost all countries of the world, among other things about the elimination of trade barriers for tens of thousands of products and services, and about the introduction of standards for this. For several years, no progress has been made at all. Nevertheless the WTO is still there. The WTO is acting as a sort of economic world government, but as we have seen, a democratic world government, in which citizens of the whole world can really influence economic processes, is completely unthinkable. It is impossible even to assume that so many different interests and desires of citizens from all countries can be regulated in a democratic way. Thus, the WTO needs to be reduced and rescaled to what GATT, the General Agreement on Tariffs and Trade, was meant to be from the Second World War until the early 1990s: an instrument to promote trade between countries, and to make national and local protection as optimal as possible, serving important social, ecological and cultural values. This also means that this can only be realised if public awareness grows that trade is a means of achieving a goal and not an end in itself. So far, as citizens we just have to wait and see how big and powerful – and thus how uncontrollable – a company will become. However, we must acknowledge that we as citizens have an interest that there will be no economic players more powerful than our states. This means that companies must have a size and a structure that is manageable. If we want to subject them to rules, we must be able to check if these rules are being observed. We also have to be freed from companies that dominate markets, otherwise it is almost impossible for newcomers to acquire a place there. Current competition law only deals with complaints which company A might file against company B. That is not enough. Because we as a society also have a fundamental interest, and that is that companies are embedded in a society which they can not overrule. That is why I propose a completely new form of competition law, which I call proactive competition law. The purpose of this is that the Competition Authority will proactively survey the market. If it is concluded that a particular company has become too dominant or too complex and is not transparent, then that company must be divided into several smaller parts. Obviously, the Competition Authority must take care that a part of such a split company will not itself become a dominant player again. In addition, companies themselves must indicate in their business plans how they will ensure that they do not become market dominant. The exciting question is, of course, which Competition Authority may authorize such interventions as the breaking up of over-sized companies. These companies operate at a global level and do not obey regulatory authorities at a national level. This means that in a new treaty on global trade – which has to replace the current WTO – a new global competition law has to be formulated and a new Global Competition Authority has to be established. After all, companies that operate on a global level can only be addressed at a global level. In the 1970s there have been moves in this direction within the United Nations, but under pressure from neoliberalism they were swept away again in the 1980s. It should be mentioned as well that intellectual property rights – such as patents and copyrights – privatise the knowledge and creativity that we have jointly developed in the course of the centuries. This may sound strange to some people, but for a variety of reasons we must abandon these intellectual property rights. Why? While all newly acquired knowledge and creativity builds on what has been developed earlier, the Intellectual Property Rights system creates a monopoly, so that no-one else can further develop this knowledge and creativity. Socially, we are therefore stealing from ourselves. Additionally, in the case of a piece of land one can indicate with precise boundaries whose property it is, provided that there is a well-functioning land registry. However, knowledge and creativity are fluid and have no fixed limits. That leads to conflicts, patent wars between companies and very expensive lawsuits, on which money is spent that will not be devoted to the further development of knowledge and creativity. Intellectual property rights also constitute the new time bombs under our financial and economic system. On the stock markets companies are increasingly appreciated on the basis of the value of their patents and copyrights. But that value is guesswork. Nobody can indicate the value of knowledge that is monopolized – and that is exactly what intellectual property rights do. For security and stability in the global economy it is not safe to bet on the prices of the assumed values of intellectual property rights. What is often overlooked is that western countries will make every effort imaginable to ensure that patents and copyrights will be enforced as long as possible in a global context – in particular through the treaty on so-called Trade-Related Aspects of International Property Rights (TRIPS), and that all the knowledge and creativity that lends itself to this will be included in intellectual property rights as well, thus privatising our commons on a large scale. The consequence of this is that (relatively) poor countries, where less knowledge and creativity can be developed and paid for, now have to pay heavily for the use thereof. However, it is not unthinkable that in those countries – as is happening now in China – in many areas a lot of knowledge and creativity will be developed, fenced off with piles of intellectual property rights. It may very well be that this will eventually be much more than the knowledge and creativity developed in the West. So all of a sudden the West will have to pay for all the necessary knowledge and creativity. The system of strict intellectual property rights that the West now benefits from will then turn against the West itself and become a ballast of unprecedented magnitude. Intellectual property rights therefore hardly rely anymore on the promotion of the development of knowledge and creativity, but on trade and the thwarting of other companies and countries. Can we do without? Certainly. The starting point is that much research is actually funded with public resources, even though the resulting knowledge is often privatised. In addition, large companies today are less likely to undertake substantial research – and certainly not any research with a social or ecological component: their short-term interests do not allow it. So the solution will be that we have to make a radical separation between research on the one hand, and the production of goods and services on the other. Research will then take place in separate research institutes – in universities or private companies. We fund this research from the general resources. These research institutes participate in tenders, written by independent and regularly changing committees. All the output of this research is freely available to all. Subsequently, manufacturing companies can get started. One of the major advantages of making a distinction between research and production is that research-projects will be selected on the basis of a variety of social interests – ecological, social, cultural; the demand from companies is only one factor to take into account. Granted, what we propose turns the world upon its head. But just like we need to cut trade treaties to human size, we have to do the same with companies. The problem we are all confronted with is that it is difficult to imagine that relationships that seem to be persistent can actually change. Even so, it is possible. Who had thought that the Berlin Wall would fall, even one day before the event? Who had thought until the end of the 1970s that neoliberalism would become the dominant ideological and economic force? Even so, it happened. Major social changes often occur in an unpredictable fashion. But keep in mind that they do not come out of the blue. In order to be able to cut holes in the Wall, a lot of work had to be done first in East Germany and the other countries of Eastern Europe, and we cannot accuse the initiators of neoliberalism of laziness. They had been studying, discussing, building networks and lobbying for thirty years, before their ideology of the free and barely regulated market eventually gained global prominence under Thatcher and Reagan. Putting enterprise under democratic control again seems to be an unrealistic cause. You may call it a utopia, but is that not the same as making the unthinkable imaginable? 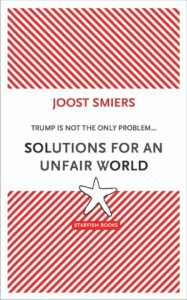 Perhaps we will be grateful to Donald Trump, for his wildness and unproductive ideas about protectionism may prove to have been the – probably unintended – catalysts for what I propose: not the abolition of the world economy – that would undo thousands of years of history – but the reintroduction of local and regional enterprise, embedded in society. Then there will be no more super-large companies that can afford their CEO’s scandalously high rewards. Because medium-scale and small businesses can never afford that: their bosses can only earn a little more than the average employee, and that’s it. We can not handle the complex corporate world as it now functions; that calls for less globalisation, which should actually be possible.